Connect your handheld audio device to a larger speaker or home stereo system using this CE Tech Adapter. Y-adapter features 2 RCA male to 3.5 mm male connector for easy connecting. Durable nickel-plated plugs. The IDEAL 90-Degree Coaxial F-Type adapter is designed for 75-ohm coaxial connectors and features nickel-plated brass construction for durability. Dual Plug Y Adapter Get uncompromised performance with RCA connections to DVDs, VCRs and audio devices using this RCA Y Adapter. 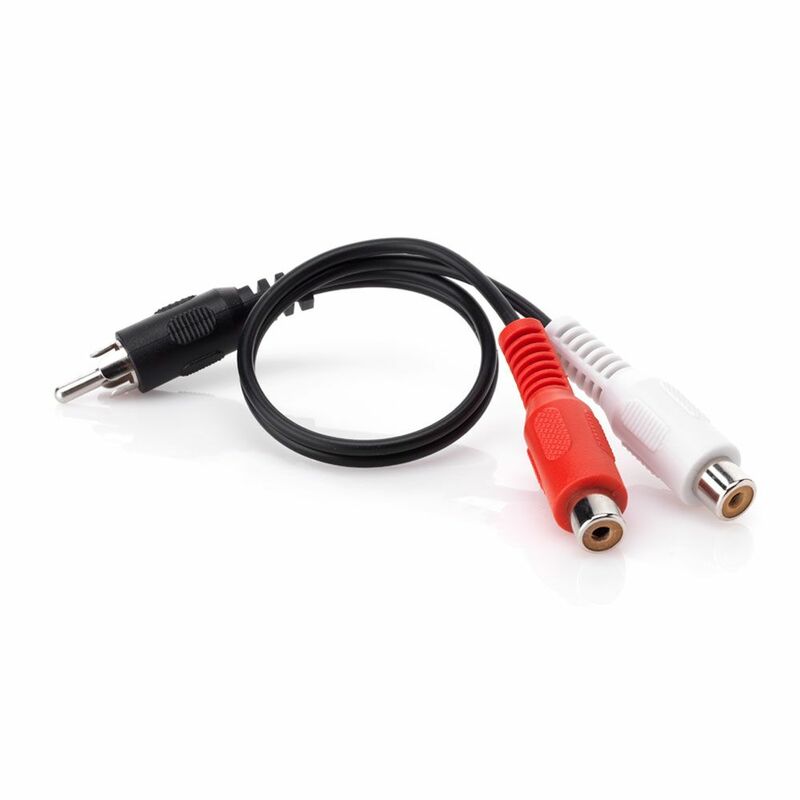 Y-splitter cable connects a mono device to stereo receiver and duplicates analog audio signal. For use with your audio components, including in-home theatre system, DVD/VCR and MP3 players.